Type:VideoLanguage:EnglishCategories:Personalities FeatureStatus:On going Description： Most of the time, most of the people we see talking on current affairs shows are people who are there to discuss the issue of the day. In reality, these people are multi-facetted and multi-dimensional. 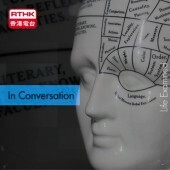 "In Conversation" is a talk show, hosted by Stephen Davies, that hopes to get beyond the single issue interview. In choosing our guests we want to find people in whom we can bring out many dimensions of their experience, knowledge, and hopes. They may be politicians, artists, writers, social figures, or - indeed - come from any walk of life. The aim is to have a conversation that may sometimes be challenging or revealing, but that does not necessarily follow the standard question and answer format. Conversations are, after all, better when two people are talking, and two people are listening. Born in Macau, Fernando Cheung came to Hong Kong at around the age of seven and spent the rest of his youth here. His mother was a nurse. His father was a teacher who went on to become a principal in a primary school. His parents encouraged him to do volunteer work with the needy during his secondary school years. The satisfaction he got from helping others determined his choice of career. As he tells Stephen Davies “In Conversation” this week, the opportunities for studying social work in Hong Kong were limited at the time, but he did get a degree in social workfrom Baptist University before moving to the United Statesto study for Master’s and a PhD degrees. While there, he also worked asexecutive director of the Oakland Chinese Community Council, helping Chinese and other Asian immigrants. Returning to Hong Kong in 1996, he began working as a lecturer at the Hong Kong Polytechnic University, but he continues to find Hong Kong’s social welfare provisions lacking, and it was his dissatisfaction with them that encouraged him to enter politics and try to make changes. In 2002, he became the vice-convenor of Civil Human Rights Front. Fernando is currently a Legislative Councillor and vice-chairman ofthe pro-democratic Labour Party. He says that it is clear that Hong Kong’s economic disparities continue to widen. But he still says he has guarded optimism about the future.